This is your standard spoiler warning. If you don't want Tomb Raider to be spoiled then move along. "A famous explorer once said that the extraordinary is in what we do, not who we are. I'd finally set out to make my mark; to find adventure. But instead adventure found me. In our darkest moments, when life flashes before us, we find something; Something that keeps us going. Something that pushes us." If you bring up the subject of female video game characters, sure you'll hear Princess Peach, Zelda, Samus, or even the likes of Chun-Li or Bayonetta. However, it won't be long before someone mentions the tomb raider herself, Lara Croft, and with good reason. 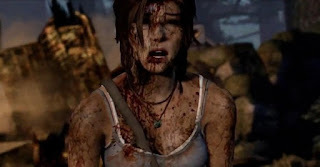 Lara Croft has been tearing up ancient tombs and puzzles since 1996 and with over 10 games under her belt she's no laughing matter... except of course all the random times that various aspects of the gaming industry have made her a laughing matter. 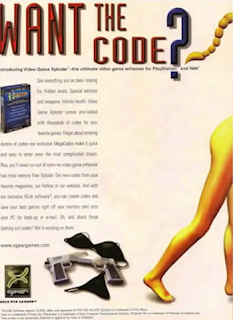 You pretty much couldn't escape from Lara and her series of Tomb Raider games in the late 90's. I was no exception to this. Back in the day, I had a PC Demo Disc version of either the first or second game in the series; not really sure which it was and I was only 11 or 12 at the time so cut me some slack. I remember even at that young of an age thinking that this had potential to be awesome if it wasn't for the camera controls, controls in general, inability to aim at anything easily and my general lack of skill in doing anything other than getting my face ripped off by the single tiger I encountered as I redecorating the cave with bullet holes in the walls. Needless to say, young Ghost didn't keep the disc nor did he play much of it and thanks to the Tomb Raider Demo Disc and the original Super Mario Bros, young Ghost started down the pathway to generalized hatred for platforming games. A hatred that my friend and collaborator KoD has been trying to slowly neutralize with a fair amount of resistance. Lara's had her fair share of some poorly received games according to many sources (I certainly didn't play them), but when it was announced that they were going to reboot the series and start from the very beginning as to how Lara became the gun-toting awesome woman so many had grown to love with all of the advances that the gaming industry had developed and embraced in the previous 7 years, I couldn't help but want to give it a shot, especially now that I was older and could probably handle a game like this better than my younger self. Granted I waited two years till it was on sale for $17, but I got there in the end. So is the new Tomb Raider any good or is it just another piece of tinder to toss on the bonfire of things that should have never been rebooted in the first place? Let's grab our pistols and jump right in! Lara Croft has set out on her very first expedition with a small group of scientists, adventurers and several other people so ethnically diverse that you'd expect them to be on the cover of Equal Opportunity Monthly. They are trying to find the lost civilization of Yamatai. On a hunch, Lara tells them to head towards the Dragon's Tongue east of Japan and upon arriving they run into a dangerous storm where the ship is ripped apart scattering the crew. Lara is kidnapped by someone on the island but quickly escapes her captor and goes in search of the rest of her friends. Along the way she notices that there are statues to the Sun Queen Himiko that the island's inhabitants have been worshiping making her realize that she is, in fact at Yamatai. Not long after this discovery she and several other crew members are captured by the island's inhabitants, a group of men known as the Solarii Brotherhood. The Brotherhood turn on the crew and Lara is forced to kill for the first time in order to save her own life. 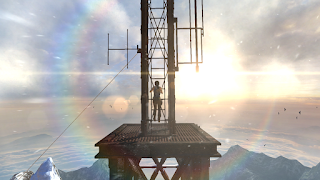 Lara with her crew's help, try to find ways to get off of the island and activate a radio signal that sends an airplane to find them; unfortunately as the plane approaches a storm appears suddenly and causes the plane to crash land. Lara faintly hears the words "No One Leaves" in Japanese as this happens. Lara attempts to find the pilot and comes across a temple guarded by a fierce windstorm and strange samurai warriors, one that is twice the size of a normal man. More events unfold as Lara's friend Sam, a distant descendant of the first settlers of Yamatai, is kidnapped by Mathias, the leader of the Solarii Brotherhood. Mathias' plan is to attempt an ascension ritual to see if Sam could be the new Sun Queen. The Sun Queen accepts the offer and Mathias takes Sam to the top of the temple to sacrifice her to the Sun Queen. 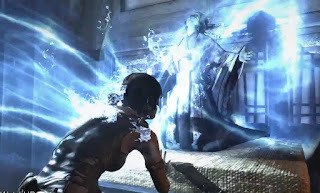 Lara attempts to follow and along the way learns that the ritual isn't to find a new Sun Queen, but it is, in fact, putting the original Sun Queen Himiko's soul into a new body. It was said that Himiko could control storms, and it just so happened that storms have been raging around that island causing plane crashes and shipwrecks for years since the last sacrifice to Himiko took her own life before the ceremony could commence. This left Himiko's spirit to inhabit a corpse for decades. Lara must navigate her way through hoards of undead samurai, the rest of the Solarii Brotherhood, a collapsing temple, and that big bruiser from before in order to get to her friend Sam. Lara takes out Mathias finally utilizing her signature double pistols and destroys Himiko's old body interrupting the ritual and causing the storms on the island to cease. The remaining survivors and Lara leave the island and set off on new adventures. As far as origin stories go, this one is a pretty good one. A lot of fanboys out there were calling foul because of how Lara isn't this tough explorer that they were all used to. OF COURSE she's not. This game is very similar to the first Captain America movie in the Marvel Cinematic Universe. It's not the story about the epic hero, it's the story about the person who becomes the epic hero. It's a story of survival and a woman growing in to the person she is supposed to be. 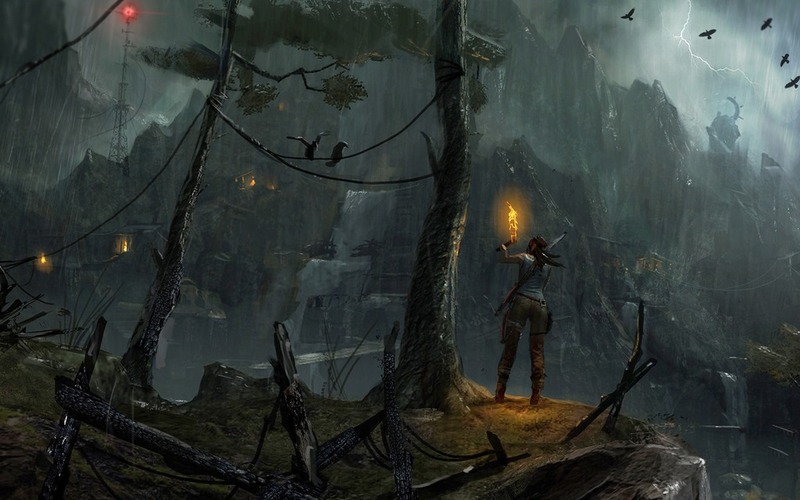 You really get the feeling that you're stuck in the middle of this intense Indiana Jones styled situation where there's exploration, trying to stay alive, and quite a bit of danger; exactly what a Tomb Raider game should be doing. That being said there are a couple of points that I must bring up about the story. The first point that took me out of the narrative a little bit was the first time she had to kill another person. Up until that point she'd only been killing wolves and hiding from people but when one man finds her and attempts to kill her she defends herself killing him in the process. There's a brief moment where she's horrified at what she had to do. She screams out in the horror of what lies before her. This was a good inclusion as most normal people wouldn't react nonchalant to the murder of another human whether it be in self defense or not. This scene is immediately downplayed however by the fact that merely an minutes to hours later she's sniping people with her bow and arrow who haven't noticed her yet, or running full force into a group of men with a shotgun yelling "die you bastards!" Yes sure they would shoot and kill her if she didn't do these things but I got whiplash from the extreme swing in her mood about killing another person. That said, I do understand why they made this decision because had they kept that going for longer with her being horrified and coming to terms with what she must do over a set length of time it would have slowed gameplay or made listening to her inner turmoil very annoying so I can forgive this in the long run. The other instance is something that may have made more sense had I played previous games but as presented with this game alone was either confusing or too incredibly on the nose... and I can't decide which. People keep telling her over and over that she can do things because "you're a Croft." I understand that her father was supposed to be some sort of awesome dude but they just keep bring it up. "You're a Croft, Lara." "You're a Croft" "I'm a Croft" There's even one point where it gets said to her and she responds "I know I'm a Croft, but I don't think I'm that kind of Croft." I'm not entirely sure if it's meant to constantly remind the players that this IS Lara or if it's a not so subtle joke at the originals that just fell flat like they were trying too hard to be Monty Python. Original game series eh? Original game series? Say no more eh? Original...Game...Series? I don't know it's just weird that it keeps being brought up. Other than those two things the story is very solid and well worth the legacy behind the character. The designs in this game are absolutely gorgeous. I don't mention design that often because, quite frankly, I'm either playing a very cartoony game, an old game, or a game where they've just taken various shades of brown and gray and copy/pasted to oblivion. However this game is absolutely beautiful. First off is Lara herself. Clearly they had to update her designs from the original game and I'm so very glad they gave her a realistic look instead of trying to keep the same sort of face from the originals as they did with later games from the original run that made her look like a deformed Barbie Doll. Now she looks like a real woman while keeping the integral spirit of the old character. They put a lot of thought into her design as they added changes to her clothing and skin depending on what all she's recently been through. Along the way her clothes get slightly ripped in various parts, she ends up with bandages on her, and she ends up with tons of dirt from digging around in caves and tombs. There's one segment where you have to wade through a pool of blood and you come out with the blood stains all over your clothes. Of course, the dirt and blood wash off somewhat or all together if you have her wade through a stream or the ocean. It has a very realistic feel to it. The character designs are excellent but what about the background and level designs? Honestly they are absolutely breathtaking at times. Just look at that. There is so much attention to detail throughout this whole game that there were times I would just stop to look around at the scenery to take in everything that was around me. Sure it's hard to make a tomb in a cave look aesthetically pleasing but they even managed to do that. There was not a single moment in this game where I was thinking this was just the same old same old scenery even if there were parts that repeated itself somewhat. Everything looks beautiful even the gore and disgusting parts were given their fair share of attention. I haven't seen many games that weren't on PC look this wonderful in awhile. The design team needs a raise and all the respect in the world. With Tomb Raider's background being in 3D platforming, I figured that I would be in for either some really nasty learning curves or portions of the game that I just couldn't stand because of my general distaste for things of that nature. Although there were a few sections that made me want to scrape out my brain with a teaspoon due to pure frustration, I was pleasantly surprised with the gameplay overall. Everything felt natural in this game. The platforming sections were intuitive and made perfect sense; if more platforming games were as seamless in execution as Tomb Raider, I'd never complain about a platforming game again *coughcoughMariocoughcough*. Controlling Lara's movements was easy, tight, and intentional. She moved exactly the way you would expect and didn't end up flailing around and falling off cliffs for no reason. The camera was NEVER a problem for me which is something I can't say about a lot of games with platforming sections. I never found myself in a spot where the camera was causing me frustration. When it comes to combat a lot of people disliked the fact that Lara's standard double pistols only made a brief appearance in this game. I am personally fine with that as they have utilized that particular gaming mechanic so much in the past I was glad to see them giving other options like the machine gun, shotgun, single pistol, and bow and arrow. With so many different weapons all having different powerups like grenades, the combat can be varied depending on your play style... I use the word "can be" because basically once you get the fire arrows, the ability to loot arrows off of things you've killed, and the ability to make the arrows pierce through armor you basically don't need anything other than the bow so practice with it. Why is the bow so good? First off it's completely silent so you can make stealth kills without a group of guys bearing down on you. Secondly if you have 5 guys attacking you from various locations and you're hiding behind a barrier which one will you choose? The 30 round machine gun that takes twenty seconds to do, the pistol or shotgun that take even longer, or will you use the bow and arrow that takes less than 5 seconds to pull back and instantly kill with an arrow to the face? You're probably going to choose the bow. Speaking enemies bearing down on you, Tomb Raider has what I like to call, The Last Of Us Syndrome. We're on this deserted island where only people from random shipwrecks and plane crashes have landed. There are no indigenous people left yet we run into HUNDREDS of organized Caucasian men in their late 20's to early 40's absolutely everywhere we go with absolutely NO women anywhere?? I know they are trying to make a balance between realism and an exciting game; only having 20 or so enemies in the entire game would be dull and pointless but it's simply not cohesive with the narrative. There's little to no way that a bunch of men would survive in this harsh landscape with better organizational skills than the real life United States Military has combined...just not going to happen. However we DO need enemies throughout the game so it's just something you'll have to toss logic out the door for. Sometimes enemies will attack in organized groups of 30 or more which is a royal pain. These hoard battles can be incredibly difficult and you will end up dying a couple of times before you can figure out their pattern or the best way to take them out. The hardest is the last one (as it should be) where hundreds of undead samurai with shields show up to absolutely wreck your day. I'm fairly certain I died a good 10-15 times during that section so when you get there make sure you have all the gear you possibly can hold as well as a fair bit of patience. The only thing that I can really say negatively about the gameplay are the quick time events. QTEs tend to be a sore spot with a lot of people because no one ever seems to be able to code them at the right balance for everyone. The QTEs in this game are very very picky. Yes I died several times to hoards or samurai but I died almost every single time there was a quick time event at least once because of the extremely small amount of time it gives you to actually press the button. The scene before Lara ends up killing someone for the first time to save herself I sat through probably 20 some times because it was such a picky process full of various quick time buttons that required pinpoint accuracy...something I don't have. So if you don't like QTEs then you'll probably be frustrated. Tomb Raider is absolutely packed with content. There are tons of little collectable items all over the island that you can grab and examine with Lara giving you a little bit of information about the item. Some things you can rotate to find additional information about like the name tag on a stuffed bunny, or the date written on the back of a photo. It makes the game even more immersive when you're able to pick up random things like that. This game is one of those where you get to a point and think "Well that was good; it seems like it's going to wrap up now" ...but then it doesn't. The game just keeps presenting more and more content to do and it's never met with annoyance or me rolling my eyes like "oh great I have to do more". It's always met with "Sweet! There's more content than I thought!" There was a multitude of things to do and although I missed a couple of collectables I thought I had done most of everything in the game. As I was watching the ending credits I thought... "Ya know, for a game called Tomb Raider there aren't really many tombs to explore. Just a couple for narrative reasons only...that's kind of a waste but whatever maybe the sequel will fix that." Then I got the results screen which told me I had only completed 60% of the game. WHAT? Looking up online there are apparently multiple tombs hidden throughout the island that you can explore and solve puzzles to find lots of treasure and bonus XP which would have really helped me in the final level of the game. It's something that I'm going to have to go back in to see if I can find everything that's on this island since there seems to be so much more. There's also a multiplayer online aspect to the game. I... didn't touch it whatsoever. The more I play multiplayer online, the more I see why I shouldn't because I just end up in a bad mood. People say it's fairly decent but I don't care whatsoever about it. Check it out if you think that might be something for you. Tomb Raider is quite an excellent game. You don't need to know anything about the series to pick this up and enjoy it. If you like intense games with lots of exploration, survival, strategy, and immersion then you should give this one a shot. Sure the QTEs are annoying and some of the hoard battles are very difficult but after you've beat them and finished the game you feel that sense that you've really done something. This is everything that Tomb Raider should have always been and I'm so glad I got to experience it in all it's glory!